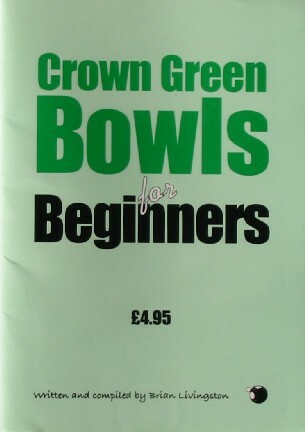 Don't overlook this link for more books on bowls for beginners. Availability To purchase a copy of this book, please email Anita Baker, Brian's daughter, at anita.baker@sky.com or write to her at 43 Copeland Drive, Standish, Wigan, Greater Manchester, WN6 0XR. Synopsis Brian Livingston, among other involvements in the game, was an active crown green coach since 1987 and a (non-active) referee. The dearth of up-to-date books aimed specifically at the beginner prompted him to write and compile this simple guide. Following a short introduction the booklet starts with single page topics that include 'Personal Thoughts' and 'History of the Game of Bowls', followed by short chapters headed 'A Little Knowledge' and 'Points of Interest'. There follows a poem entitled 'This Could be You . . . or Me! ', and then chapters on 'My First Lesson', 'Setting a Mark', 'Bowls are Tools of the Trade' and 'Equipment' - the latter incorporating a dozen exercises in the form of diagrams for the beginner to practise. The section 'To Help You' provides useful guidance and several tips, and is followed by chapters on 'Bias on Jack and Bowl', 'Terms Used in Crown Green Bowls', 'British Crown Green Bowling Association in Association with the English Coaching Scheme', 'Marking a Card' and 'British Crown Green Referees Society'. The final two parts, contributed by Stan Frith and Roy Armson respectively, are entitled 'Reading the Green' and 'Controlling the Length'.